Could go on sale during Autumn 2016 in Japan. 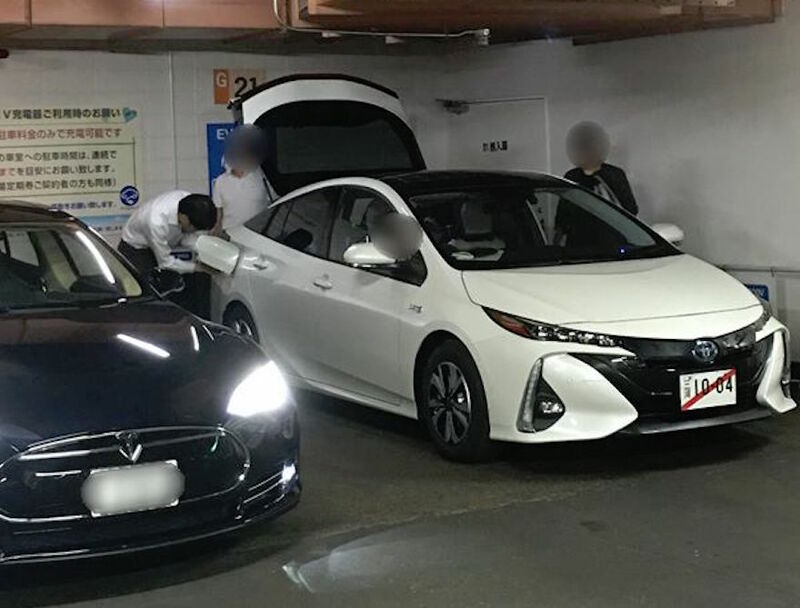 Courtesy of EVsmart, here's an image of the the Toyota Prius PHV (Prius Prime in the U.S) parked alongside a pre-facelift Tesla Model S at a charging station in Japan. The Prius PHV is expected to launch in Japan during Autumn, followed by its arrival in the USA in late fall (towards December). The Prius PHV was presented for the first time as the Toyota Prius Prime at the NY Auto Show in March. The Toyota Prius PHV made its world debut at the 2016 New York Motor Show as the Toyota Prius Prime. Although it's based on the new Toyota Prius, the exterior styling is a step above, featuring sleek headlights with quad LED elements each, vertical LED DRLs, and an aggressive bumper design that hides a blacked-out grille. At the back, it gets a unique pair of LED taillamps as well as aggressive sculpted features. 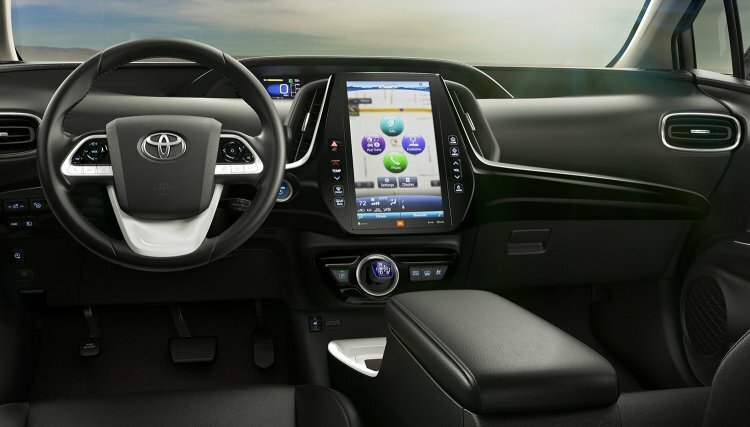 The interior of the Prius PHV is largely identical to the Toyota Prius, save for a 11.6-inch portrait touchscreen in the centre console and a full colour head-up display. Toyota will also offer an exclusive smartphone app for owners to manage the car’s charging schedule, charging status and locate charging stations. The interior of the Prius PHV is largely identical to the Toyota Prius, save for a 11.6-inch portrait touchscreen in the centre console. The Prius PHV is powered by a 1.8L Atkinson-cycle four-cylinder petrol engine that is combined to an electric motor and a CVT. The motor is powered by an 8.8 kWh battery pack that can be charged externally. Its American counterpart, the Prius Prime, is claimed to offer a full-electric driving range of 22 miles (35.4 km) and a combined driving range of over 600 miles (965.6 km).